DuWop's Award winning Venom Gloss in Buttercup gives you the fiery tingle & super shine of the famous Lip Venom, now with rich lasting colour in a squeeze & glide tube. Buttercup is a light shimmery champagne tone, perfect for summertime sexiness. Blood rushes to the surface as the blend of essential oils work their magic. Cinnamon, ginger, jojoba & creamy avocado oils help to create the tingle & provide your lips with a chic sheen. Bee-stung lips are a look that has become a modern classic and the Venom range has always led the way in plumping your pout. DuWop have injected a spectrum of dazzling colours into the Venom Gloss collection, with shades all named after poisonous plants. Buttercup's tone is composed with a pale blush & shimmery champagne finish. 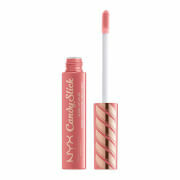 Fatten up even the thinnest lip-line with this easy-to-apply colourful gloss. I was very pleased with my lipgloss, it was exactly as described. It stayed on for longer than other lipglosses I've had and I really liked the colour. Unfortunately, I lost it not long after I bought it so I am unable to comment any further. 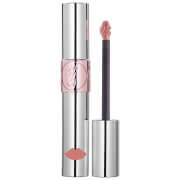 I have ordered another lipgloss but a slightly different one but from this site as the service is fantastic and delivery is superfast. The most amazing lipgloss I have ever purchased. I'm afraid I will have little motivation to use anything else. Stays on a long time and lovely natural colour. Absolutely LOVE this gloss! Im totally addicted!